Optimize your operations into an efficient, automated, and high-performing work environment with the CK3R, the mobile computer you can count on to keep your workers running productively at full speed to deliver enhanced workflow performance. Thanks to a state-of-the-art power efficient design, the CK3R delivers full-shift battery life – even when running scan- and network-intensive applications and with a purpose-built, slim and lightweight-design, the CK3R is comfortable and easy to use. And with CloneNGo – our breakthrough device provisioning technology – you can greatly simplify and expedite configuration and deployment of your CK3R mobile computers from a single master unit without requiring sophisticated IT support. Scanning operations are quick and accurate, with integrated high performance area imaging technology pioneered by Intermec. Support for omni-directional scanning and high motion tolerance means your 1D and 2D bar codes can scan correctly the first time, at most angles, even if the code itself is not perfect. 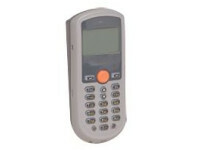 The CK3R is also designed to stand up to the rigors of everyday use with a rugged, laser-etched keypad, a 1.2 meter (4 ft) drop rating to concrete (across all operating temperatures) and an IP54 seal rating against rain, moisture and dust. 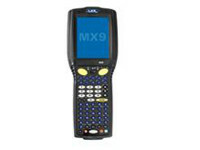 Running the latest Microsoft® Windows Embedded Handheld operating system, the CK3R supports the wide range of enterprise software applications. 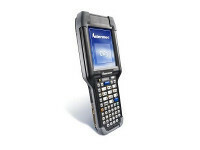 And the optional Intermec Client Pack, which includes full Terminal Emulation and a lock-down web browser supporting emerging industry standards like HTML5, provides a consistent user interface and common menu structure to ensure that workflow is directed and web access is limited.Achieving workflow automation has never been easier. 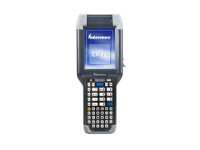 The CK3R can be combined with Intermec printers, scanners and service for a proven enterprise business solution to automate your data collection tasks without introducing IT complexity. Put the CK3R to work and unlock the full potential of your operations.